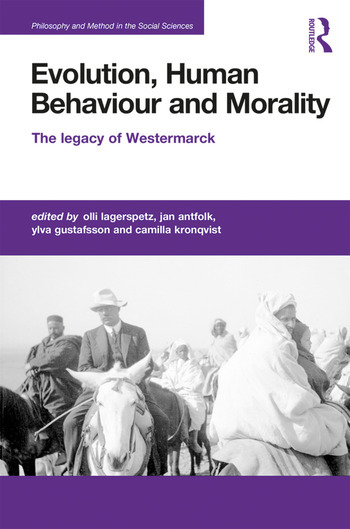 This book highlights the recent re-emergence of Edward Westermarck's work in modern approaches to morality and altruism, examining his importance as one of the founding fathers of anthropology and as a moral relativist, who identified our moral feelings with biologically-evolved retributive emotions. Questioning the extent to which current debates on the relationship between biology and morality are similar to those in which Westermarck himself was involved, the authors ask what can be learnt from his arguments and from the criticism that he encountered. Drawing on Westermarck's manuscripts and papers as well as his published work, the authors show the importance of situating debates, whether modern or classical, in their correct methodological and philosophical context. This volume is a rigorous assessment of the ways in which morality is connected with human biological nature. It plays close attention to the development of debates in this field and will appeal to scholars of sociology, anthropology and philosophy. Olli Lagerspetz is Senior Lecturer in Philosophy at Åbo Akademi University, Finland. He is the author of Trust, Ethics and Human Reason and co-author of Edward Westermarck: Intellectual Networks, Philosophy and Social Anthropology. Jan Antfolk is a postdoctoral researcher in the Department of Psychology at Åbo Akademi University, Finland. Ylva Gustafsson is a postdoctoral researcher in the Department of Philosophy at Åbo Akademi University, Finland. Camilla Kronqvist is a postdoctoral researcher in the Department of Philosophy at Åbo Akademi University, Finland.